Comic Book Legal Defense Fund is proud to welcome Rebellion, one of Europe’s leading independent publishing and game developers, as the organization’s newest corporate member! Rebellion publishes the iconic 2000 AD family of comics and graphic novels, alongside publishing imprints Abaddon Books, Solaris, and Ravenstone. Founded in 1992, Rebellion® is one of Europe’s leading independent game developers and comic book publishers. In 2000, Rebellion acquired the legendary weekly comic book 200 0 AD and has re-established this world-famous institution as one of the leading lights in the industry, continuing its 40-year tradition of cutting edge storytelling and discovering talent that has and continues to shape the industry. CBLDF provides legal and educational resources to protect the freedom to read comics. The organization is a partner in Banned Books Week, the Kids’ Right to Read Project, Free Comic Book Day, and other national institutions that support intellectual freedom and literacy. CBLDF’s work extends from courtrooms to classrooms to conventions, where CBLDF defends the freedom to read by providing legal aid, letters of support in book challenges, challenges to unconstitutional legislation, and a robust schedule of programs about current and historical censorship to audiences all over the world. Rebellion stands beside Abrams, Black Phoenix Alchemy Lab, BOOM! Studios, comiXology, Dark Horse Comics, DC Entertainment, DCBS, Diamond Comic Distributors, Fakku!, IDW Publishing, Image Comics, Lion Forge, Oni Press, Neverwear, Penguin Random House, ReedPOP, Scholastic, SPX, TFAW.com, Valiant, Viz Media, and the Will and Ann Eisner Family Foundation as a corporate member supporting CBLDF’s important work. Comic Book Legal Defense Fund is a non-profit organization protecting the freedom to read comics! We provide legal aid to readers, creators, librarians, retailers, publishers, and educators who face the threat of censorship. We monitor legislation and challenge laws that would limit the First Amendment. We create resources that promote understanding of comics and the rights our community is guaranteed. Every day we publish news and information about censorship events as they happen. We are partners in the Kids’ Right to Read Project and Banned Books Week. Our expert legal team is available to respond to First Amendment emergencies at a moment’s notice. 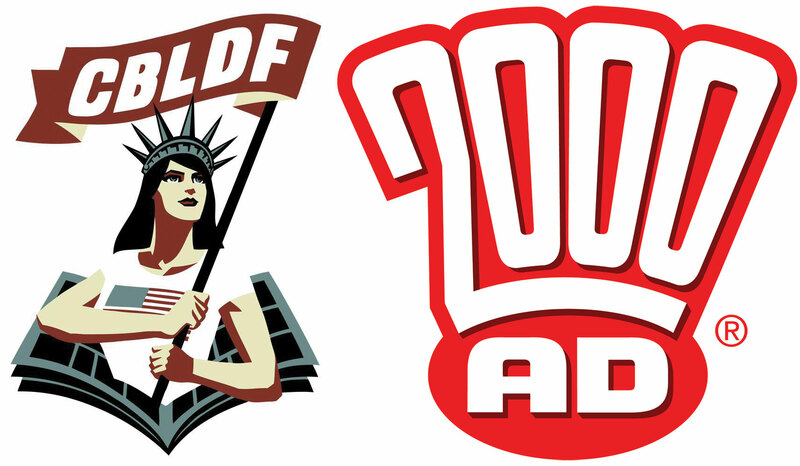 CBLDF is a lean organization that works hard to protect the First Amendment. For more information, visit www.cbldf.org.